In some sources, this pope is called Stephen VI and Pope Stephen IV is called Stephen V. See Pope-elect Stephen for detailed explanations. 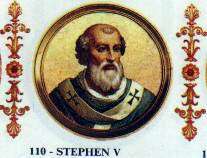 Pope Stephen V (Latin: Stephanus V; died 14 September 891) was Pope from September 885 to his death in 891. 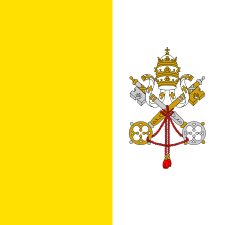 He succeeded Pope Adrian III, and was in turn succeeded by Pope Formosus. In his dealings with Constantinople in the matter of Photius, as also in his relations with the young Slavic Orthodox church, he pursued the policy of Pope Nicholas I.
Stephen was called upon to face a famine caused by a drought and by locusts, and as the papal treasury was empty he had to fall back on his father's wealth to relieve the poor, to redeem captives, and to repair churches. Following the death of Saint Methodius, a disciple of Methodius, Gorazd, became his successor. However, due to the influence of the German clergy, Stephen forbade the use of the Slavonic liturgy. Most of the Slavs would then follow under jurisdiction of the Ecumenical Patriarchate. To promote order he adopted Guy III of Spoleto "as his son" and crowned him Emperor (891). He also recognized Louis the Blind as King of Provence. Since Aurelian, Archbishop of Lyon, would not consecrate Teutbold, who had been canonically elected Bishop of Langres, Stephen himself consecrated him. 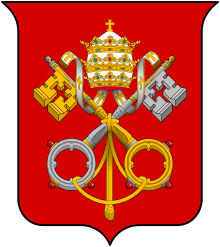 He had also opposed the arbitrary proceedings of the Archbishops of Bordeaux and Ravenna, and resisted the attacks which the Patriarch Photius made on the Holy See. His resistance was successful, and the Emperor Leo VI sent the him into exile. When writing against Photius, he begged the emperor to send warships and soldiers to enable him to ward off the assaults of the Saracens on papal territory and southern Italy and from 885-6 the Byzantines reoccupied southern Italy from the Muslims. In 887/8 Stephen wrote that Christian slaves of Muslims, who were subsequently mutilated by their captors, could become priests. He also excused them if they murdered during their captivity. Stephen, who received many English pilgrims and envoys bringing Peterspence, was buried in the portico of the basilica of that Apostle. ↑ Roger Collins (1 Jan 2009). 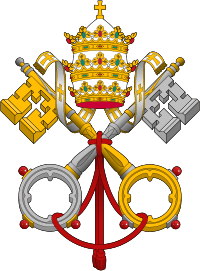 Keepers of the Keys of Heaven: A History of the Papacy. Basic Books. p. 170. ISBN 9780786744183. ↑ Greville Stewart Parker Freeman-Grenville; Stuart Christopher Munro-Hay (26 Jan 2006). Islam: An Illustrated History. Bloomsbury Publishing USA. p. 46. ISBN 9781441165336. ↑ David Thomas; Barbara Roggema; Juan Pedro Monferrer Sala (21 Mar 2011). Christian-Muslim Relations. A Bibliographical History. Volume 3 (1050-1200). BRILL. p. 48. ISBN 9789004195158.